Many People might be thinking that if we do get mobile apps free of cost then how do app make money? Even if suppose they are earning then second question surely comes in mind that how much do apps make for them? Are you thinking the same? Yeahhhh .. Even I was thinking of the same too before knowing from one of my friend who is having apps and I was shocked when I heard his earning. So If you have any app or want to develop then you can use all this ways of get money. Probably one of the easiest and best way of earning from apps and give you good revenue if you have good number of downloads and traffic. Amount paid to apps depend on size, placement, positions of ads and which country user belongs. One of downside thing is your app look ugly when advertisement not place correctly. Developer can be paid on basis of per click(every time use click ), per visit (every time user visit apps) or per install (every user install apps). 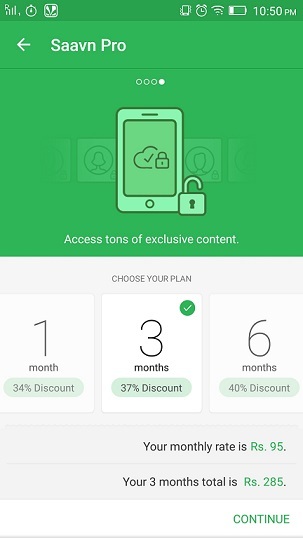 By subscribing user get more feature with certain rate normally billed monthly or yearly and developer makes money like for saavn app(song app) user get high quality audio and download option if they go for subscription. So in this model developer allow user to download app without any penny and also allow to use till some extent only. For more use they ask to pay certain bucks. Few developer only allow user to download apps free of cost and take money for unlock all of the content in the app. SO as a developer if you want to make money from app then you need to provide some extra and special information which user willing to use. Certainly this is one of the best way of making money from app and A basic approach is to offer a free download with limited features or full features for a limited time only then ask to unlock with pay certain amount of money. For example in games you can offer user more level , more character or any other special feature. You can also provide the “Lite” version in free of cost and for “Regular” or “HD” versions of an app you can take some amount but lite version should also be attractive then only people willing to buy higher version app. 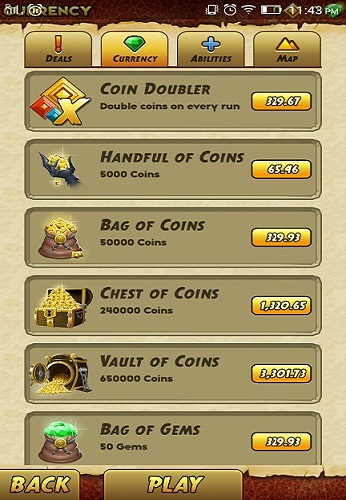 In above “Temple run application” you can see how this app is earning by providing some extra feature. 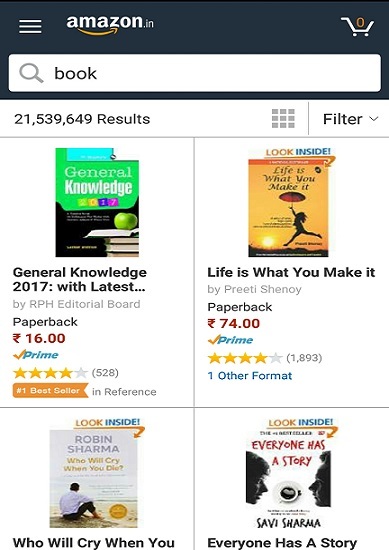 Many eCommerce apps in market now a days and you can download free of cost also but way pf making money for them is to sell item physically like provide particular goods when you pay cost . You need to have something which people can buy from your app and certainly you need some money to invest. So this is one of the risk of making money from app. 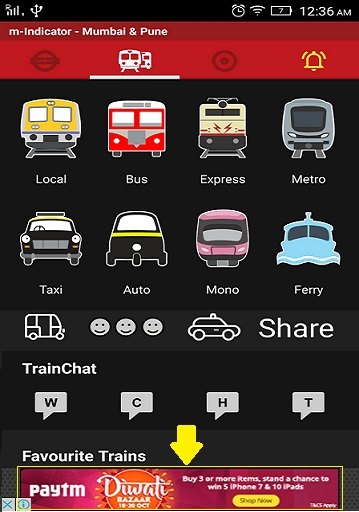 This is also one of creative way of making money by free apps but how much depend on your credibility and brand. You need to approach certain company or sponsor and ask them about your app or share your app idea with them and if you have good number of download then ask them to update graphics with their brand name or logo. This way certainly take time to get a legitimate sponsor but once you get then you do not need to invest money from your pocket. Simply selling or promoting someone else product in exchange for getting certain amount of profit percentage. Affiliate partnership is probably one of the greatest way of earning for blogs and apps. Developer can promote through pop-ups or banners. In affiliate work usually you will get money as percentage of product buy from ads of your apps so if you are selling high cost item then you will also get high cost item.